Earning free daily lottery scratch card prizes, Bring you good luck. Players can play with scratch cards inspired by our free casino games as lotto or spin and many others. Each scratch cards has its own price, rewards with different themes and try your luck to earn more virtual money! 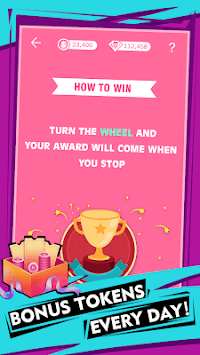 Tap on the spinning wheel to see how many rewards you will get. 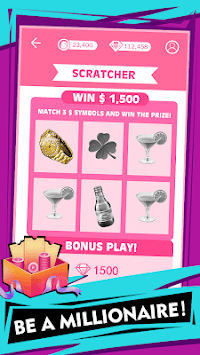 You can continue playing and collect more virtual money to increase your chances. The virtual money you earn will be put in your balance. ✔The lucky winner will be rewarded regularly. ►If you're the luckiest one, you can be a super winner at once, jackpot in the scrape card. ►Or you can win the prize by participating in the cumulative amount every day and become the final winner. ✔The more opportunities you have, the next lucky winner you will be!!! 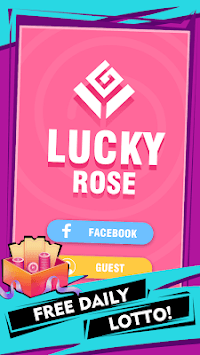 NOTE: Lucky rose is intended for an adult audience for entertainment purposes only.This game does not need real money in.